Many have their version of Sunday Gravy. One requirement that many agree upon is a long simmer time. I don’t disagree, as most of the protein used in many traditional Sunday Gravies need time, lots of time, to break down. The slow simmer also gives the sauce a richness which is what many fans of the dish look for. It’s also a tradition to spend the Sunday to start it in the morning and wait for the sauce to simmer long enough for a late afternoon meal. Churchgoers and football fans alike, curb their appetites throughout the day, in order to maximize their stomach capacity for the premier dish. However, many of us crave an option that is equally as gratifying and doesn’t take the whole day to make. 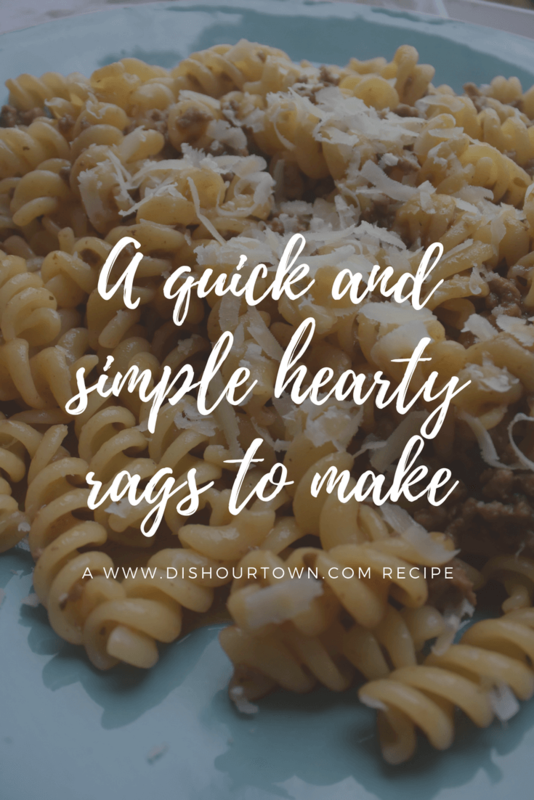 Below is my tried and true quick and simple ragu recipe that always satisfies. Churchgoers and football fans alike, curb their appetites throughout the day, in order to maximize their stomach capacity for the premier dish. However, many of us crave an option that is equally as gratifying and doesn’t take the whole day to make. 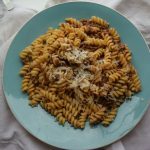 Below is my tried and true ragu recipe that always satisfies. 1 – tablespoon of grass fed cow’s butter. Dice whole onion. Knife-flatten garlic cloves to release natural oils (no need to take the skin off, it will come off one it hits the hot pan). In a medium/large pot (Le Creuset Dutch Oven preferably) dash enough olive oil to cover the bottom. 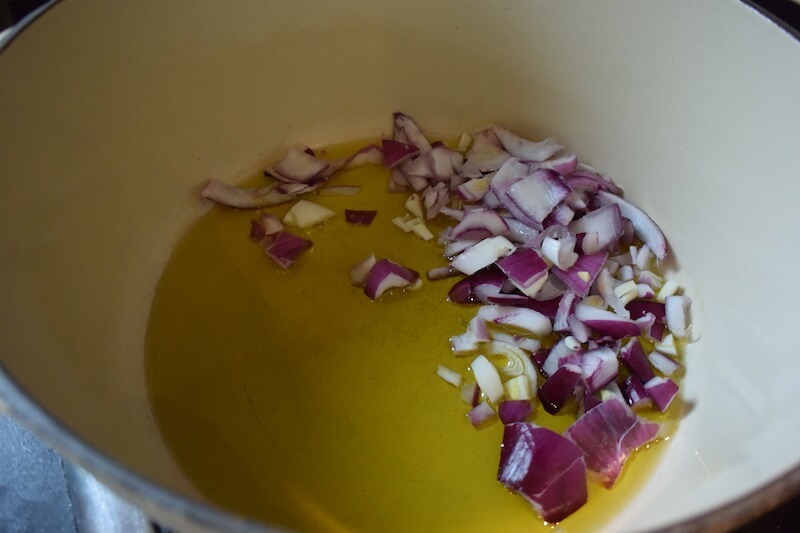 Bring heat to medium and when olive oil gets hot enough (test with tossing in a small piece of onion, if it starts sizzling, it’s at the correct temperature). Add garlic (you’ll see the skin separating instantly, remove. When beef is brown, bring fire to low and add tomatoes. Stir and cover for 10 minutes. Add soy sauce (this gives the meat a bit of a smokey finish) and stir. Add sugar and vinegar and continue to stir. 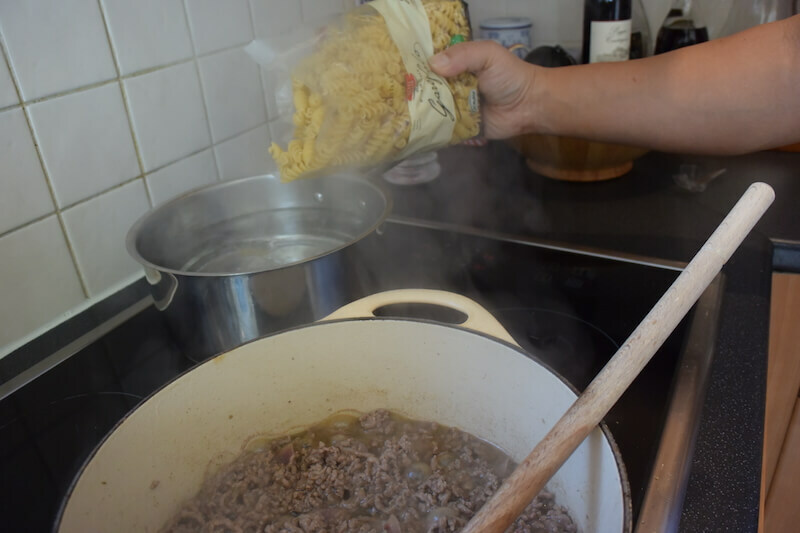 Bring heat up and add half a bottle of white wine and bring to a slight boil. Cover for 20 minutes over medium/low heat and stir every so often so it doesn’t stick to the bottom. 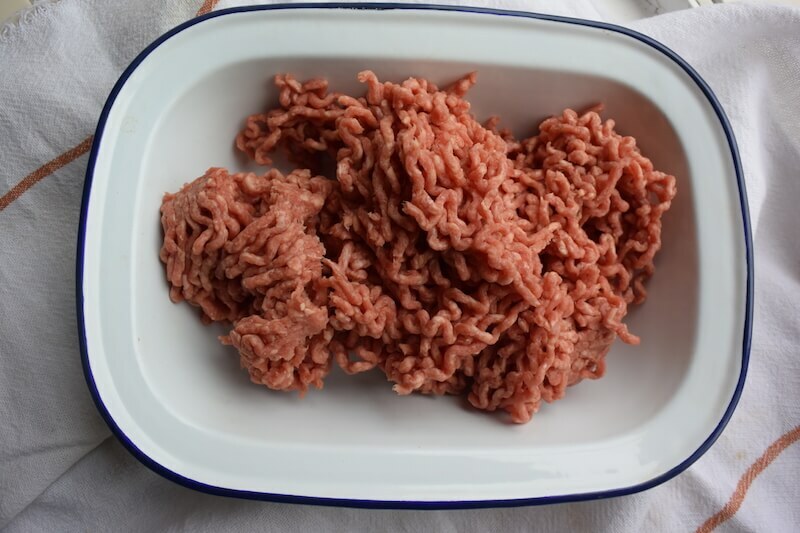 In another pot, bring water to a boil (add 2 teaspoons of salt). Introduce pasta, and undercook for 2 minutes. When finished, drain pasta and save some of the starch water. Put pasta in a big bowl and mix in the butter and about 3 tablespoons of the starch water. Fold pasta as to separate and not stick. Bring the pot to the center of table and dole some gravy slowly on top of the bowl of pasta and continue to stir until covered. Keep remainder of sauce to the side for those who want more gravy on their pasta, and for bread dipping at the end. Serve with a good bottle of Etna Rosso. Some links are affiliate links, which means we would receive a small commission if you purchase anything from our links but all prices, as always remain the same for you. Thank you so much for your continued support. 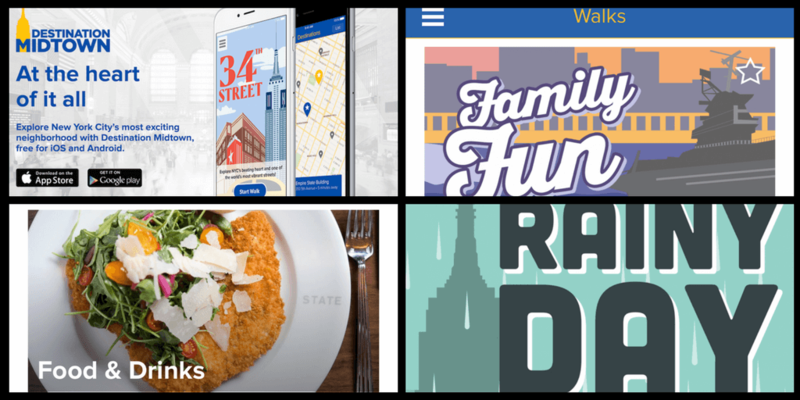 Pin to your recipe boards! 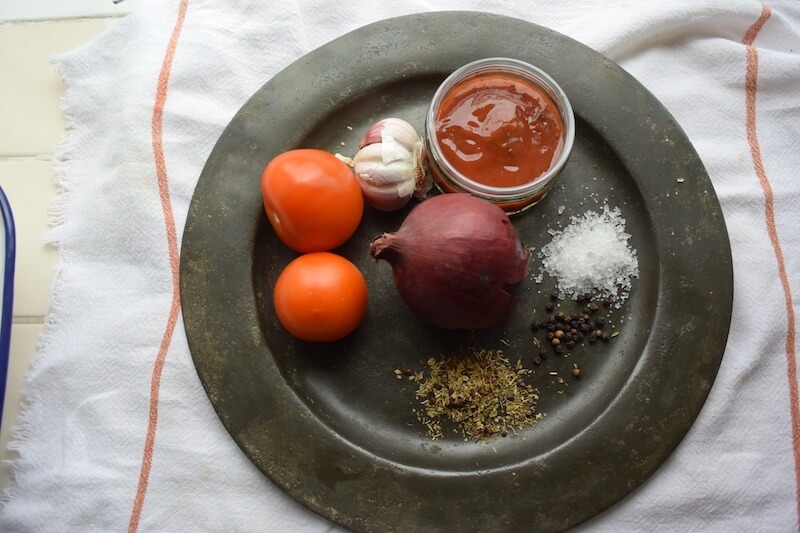 Ragu has always been on top of my recipe list, the photos are such an inspiration. Wow, thank you so much, Megs. Enjoy the recipe.